In an alternative universe where Thanos has snapped regular mortals out of existence, who rules the cricket world? Is Desert Storm now an Asgardian title? Does the Daily Planet cover the World Cup? Would Iron Man and Captain America be on the same team? We present five superheroes who could moonlight as professional cricketers. 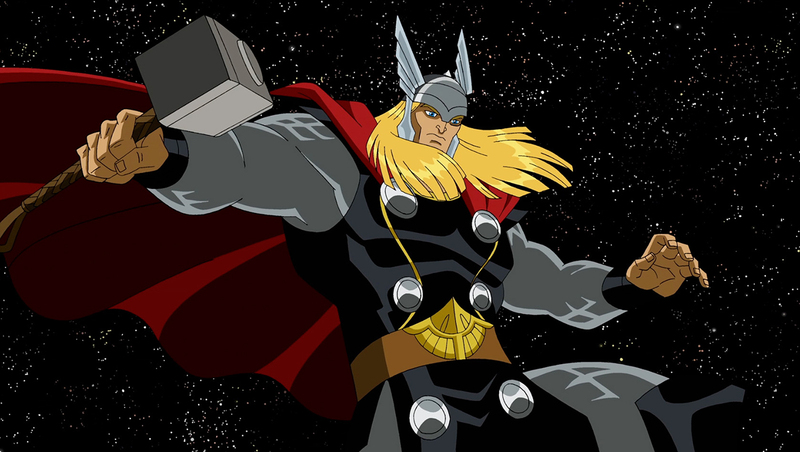 Having battled giant demons, withstood the full force of a star, and even held his own against the Hulk, chances are the god of thunder would be able to hit a cricket ball out of the park with relative ease, making him the ideal candidate for putting runs on the board. Besides, Thor is no stranger to tense chases in front of hostile crowds, having pulled off great escapes in both Sakaar and Jotunheim. It remains to be seen if he can do the same at the SCG under the looming threat of rain, but given that he has the power to control the weather, he need not worry too much about any potential D-L heartbreaks. It might have been easy to bait the hot-headed Thor into throwing his wicket away during his pre-Avengers days, but his experiences on Earth have grounded him and made him the quintessential team player who wouldn’t hesitate for a second to help his friends from work. Thor has handled pressure expertly before and can make the tough choices, be it sacrificing his home or parting with his hair. He is just as easily adaptable too, meshing well with both earthlings as well as the Guardians of the Galaxy. While it might be difficult for him to sight the ball on account of having lost an eye, he can make up for any potential loss in singles with just one mean swing of his bat. Hammers and axes are banned on cricket fields, but give Thor a bat whose handle has been forged from a talking tree and only the sky’s the limit. 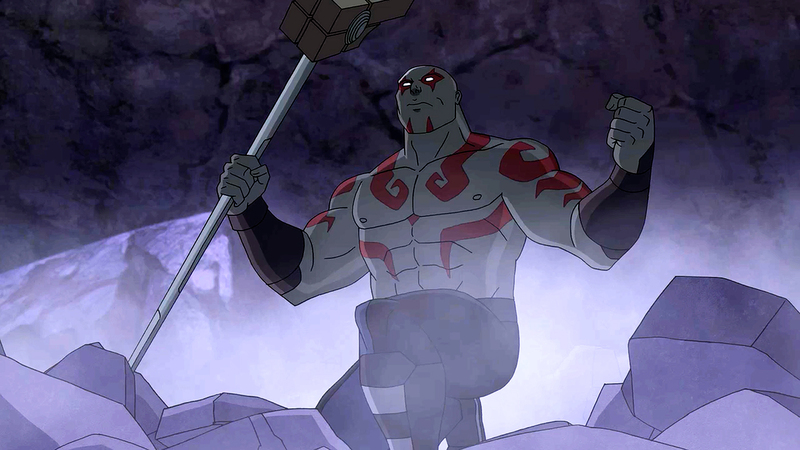 If catches win matches, Drax the destroyer is the man for the job at the boundary. Nothing would ever go over his head. Not metaphors. Not puns. And certainly not cricket balls. His reflexes are too fast for them. If Drax is a show-stopper near the ropes, his movements are imperceptible at close quarters, making him invisible to the eye, and an ideal trap to spring on unsuspecting batsmen who dare to venture out of the crease. Drax also has no time for irksome sledgers who threaten the gentleman’s game. He can combat trash-talkers with some epic burns of his own, before proceeding to remove their spines. Despite occasional meltdowns and unpredictable fits of rage, Drax is loyal, and will do exactly as told by his captain, without a moment’s hesitation. Just don’t tell him to “Slash, and slash hard” while he’s standing next to another player. There are plenty of factors that go into deciding the outcome of a cricket match. The type of pitch. The nature of the ball. The strategies of the two captains. The quality of the bowlers. The technique of the batsmen. The athleticism of the fielders. The flip of a coin. The weather. The crowd. The field settings. The umpires. The DRS. With Domino in the side, however, all that goes for a toss. All the talent and skill in the world count for nothing when up against a player whose superpower is being lucky. And in cricket – or anywhere else, for that matter – it’s often better to be lucky than to be good. Domino’s special gifts make her a valuable asset with both bat and ball. Send her out to open an innings, and she can score 265 just from mistimed edges over third man. Ask her to break a partnership and the batsmen suddenly end up swinging juicy full tosses straight to fine leg. Make her the captain during a World Cup, and she can c̶a̶l̶l̶ ̶o̶n̶ ̶J̶o̶g̶i̶n̶d̶e̶r̶ ̶S̶h̶a̶r̶m̶a̶ ̶t̶o̶ ̶s̶u̶c̶c̶e̶s̶s̶f̶u̶l̶l̶y̶ ̶b̶o̶w̶l̶ ̶t̶h̶e̶ ̶l̶a̶s̶t̶ ̶o̶v̶e̶r̶ ̶o̶f̶ ̶t̶h̶e̶ ̶f̶i̶n̶a̶l̶ ̶a̶n̶d̶ ̶ bring home the trophy. With Domino around, every throw from the deep is now a direct hit. The balls start pitching in line instead of tantalisingly wide of it. Opposition fielders take catches with their feet accidentally touching the rope. Their seamers inexplicably start overstepping, gifting free runs. 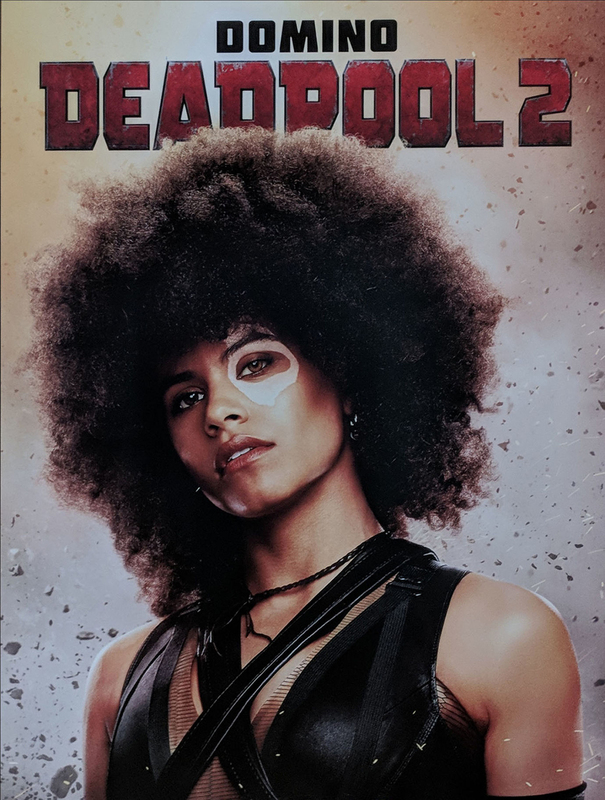 It’s just an added bonus that Domino looks cinematic while going about her business. Leading a team of gods, aliens and superheroes also requires managing a lot of fragile egos. So who better to keep his side in check and command respect than the one who made even Superman bleed? Having travelled the world to unite the Justice League, Batman leaves nothing to chance and will go to great extents to put together the best XI possible, carefully analysing each player’s strengths and weaknesses at the Bat Cave. Also, as the billionaire owner of Wayne Enterprises, Batman is media-savvy and equipped to deal with difficult questions from reporters. 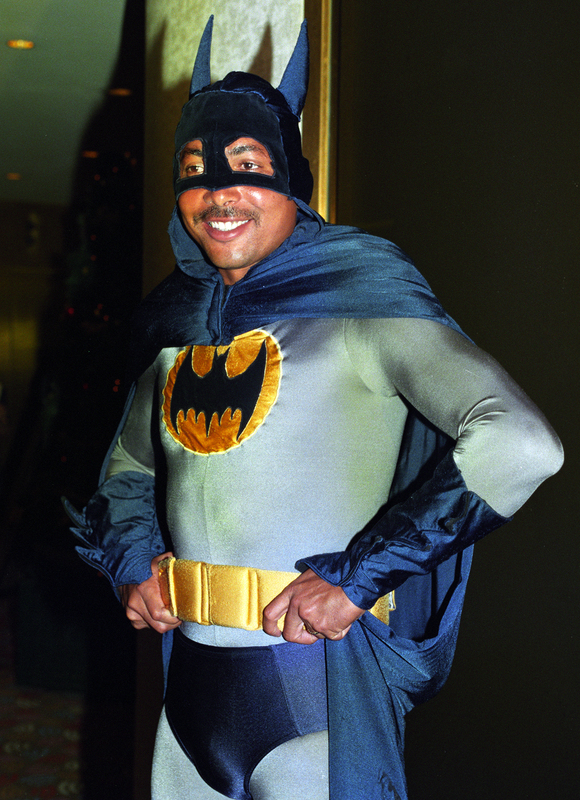 And being the caped crusader allows him to answer any potential doosra simply with, “Because I’m Batman.” He has already faced the worst of the English lexicon, in the form of the icy puns of Mr Freeze, so press conferences after close defeats should be relatively chill in comparison. Batman is not just all brains and strategies. Having trained under the League of Shadows, and with a watchful Alfred constantly monitoring his diet, he is in peak physical condition and fully equipped to handle the hard knocks of Test cricket (preferably at night, though). For the most part, Batman tends to let his tools do the talking, but if needed, he can get his hands dirty and beat the opposition into submission. So long as they don’t have mothers named Martha. Speed is an essential trait in any cricket match. A team’s running between the wickets goes a long way in putting up an imposing total. Converting ones into twos, most pundits will tell you, is vital. So how about converting ones into hundreds, and twos into double-hundreds? With Quicksilver on strike, that should be a stroll. Blessed with super speed (and an impeccable taste in music), Quicksilver can complete both his and his partner’s 100 runs in the blink of an eye. That’s 100 runs from all of two seconds in real time; in Quicksilver’s world, those two seconds are long enough to host a Test match of their own. In the agonisingly long milliseconds between the bowler releasing the ball and the ball meeting the bat, Quicksilver would spend his time adjusting his hair, taking off the umpire’s hat, moving opposition fielders out of position, going to the dressing room to get his headsets, hitting play on a peppy number, and zooming back in time to face the ball. He can even perform stumpings off his own bowling and take catches from anywhere in the field. His best use, though, is ensuring that the pitch does not get affected during rain breaks; Quicksilver would simply carry every player and official off the field one by one and place the covers on top before a drop of water touches the ground. Sweet dreams are made of this.